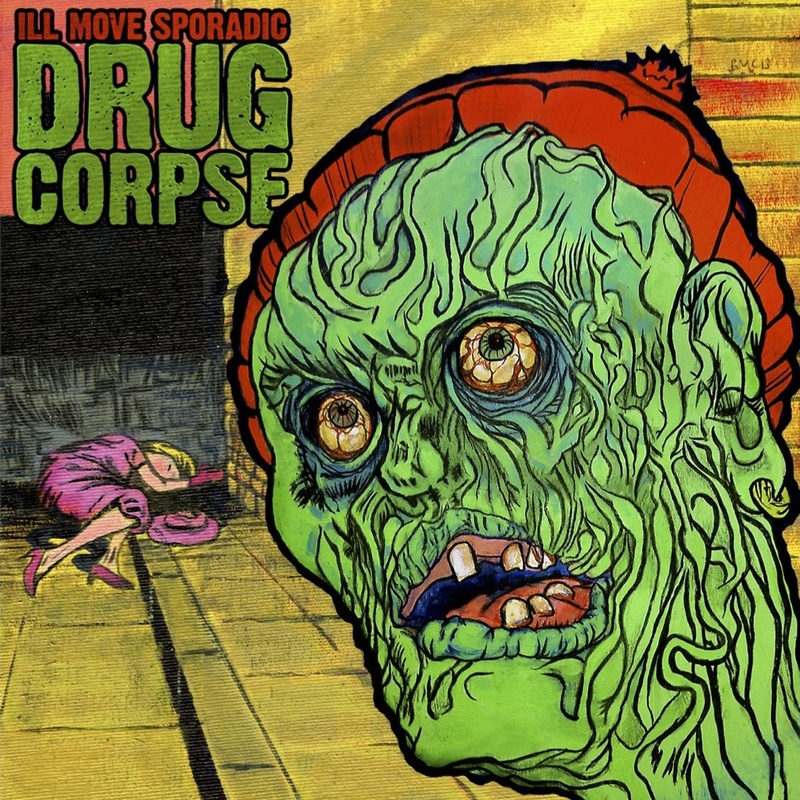 Drug Corpse doesn’t have quite the full-core horror content that might be inferred from the cover and the title, but it sets its phasers to dark from the off, and keeps them there. The lyrical themes are as varied as the contributing emcees (of whom there are thirteen in total), but there’s a good mix of conscious and diss lyrics. The latter are full of verbal humour, though pretty threatening in tone, and, as tends to be the case in the mutually supportive indie rap scene, directed at the nebulous ranks of the ‘whack emcee’ rather than at any specific target. The darkness comes mainly from the tone of the production, and it’s to the production that the Ill Move Sporadic monicker is attached. Given the collaborative promiscuity of most hip-hop artists, producer led releases often sound more coherent than emcee led ones, and Drug Corpse is no exception, its consistently tense, gloomy beats mixed to a solid template that makes the whole album sound like a singe statement. It’s a basically old school affair, with a fistful of well-chosen soul and movie samples adorning punchy boom-bap grooves taken at stalking pace; most of the beats are very simple, just three or four core elements, combined with a sure touch that showcases IMS’s experience and erudition as a production team. It takes taste and confidence to put so little in and get so much atmosphere out, and it makes a nice change to hear something without samples and sound effects kicking off left right and centre from start to finish. Intensity and commitment are the common touchstones for the army of emcees featured here; Joey Menza, who shared credit for the last IMS full length, contributes some powerful, socially orientated verbals, but there’s no single predominant voice. It’s a generally pugilistic selection, driven by a variety of creative approaches to flow, from the frowning, on-the-beat insistence of Omar Teknology on ‘Sound Of Pain’, to the southpaw cross-rhythms that give Theme’s contribution to ‘Realer Dealer’ so much topspin. This is not a place to find contemplative raps about mellowing out with a spliff on a sunny day, but there’s enough humour and playfulness to avoid any sense of preaching or pomposity. Clearly, choosing the emcees is as much a part of the creative effort involved in making an album like this as the nuts and bolts of the production; the consistent results in both areas show that Ill Move Sporadic know where the sweet spot is, and how to hit it. The rappers come across like a crew, as though they were pursuing a shared agenda, and there is an impressive skill set on show in every aspect of the album’s construction. It’s not exactly overturning the basic assumptions of the genre, but this is another decidedly solid and extremely enjoyable release from one of the canniest UK indie hip-hop production teams on my radar. Growing up in the 1980s I considered my era to be a cultural desert, particularly in regard to music; I listened to the music of other decades, or of the underground, but avoided most contemporary chart music of any type like the plague (excepting a few furtive, guilty pleasures). Since that time I’ve had to adjust my attitudes somewhat, both because there are 80s antecedents for much of the music I’ve enjoyed subsequently (you’d never have caught me listening to Depeche Mode at the time), but also because so many members of subsequent generations have enjoyed the music of that era and showed it to me from new angles, inviting me to hear it with new ears. 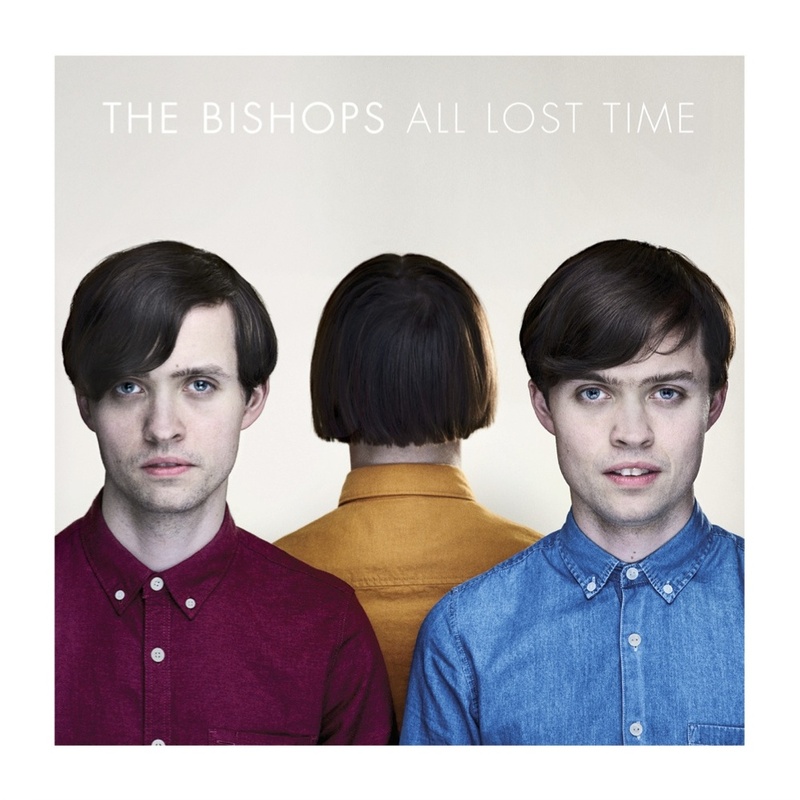 That’s pretty much The Bishops’ schtick; not that they’re an 80s revival band, but stylistically they root most aspects of their sound in that decade’s pop charts, most obviously the hollow, New Romantic influenced vocal delivery. The grooves are also decidedly 80s, the upbeat, reggae-tinged ‘Polygonn’ giving way to the stiff, jerky funk of ‘All Points In Between’ in slick New Wave style. The songs are written to be pop songs, structured around memorable hooks, with accessible strophic structures, but there’s a good deal of musical sophistication at work under the bonnet. The band are clearly interested in rhythm, as evidenced by the driving, fluid 7/4 of ‘Looper’, and the additive feel of the title track may work out in 4/4, but its 3+3+3+3+4 phrasing certainly feels pretty odd. They are also pretty skilled at orchestration, managing in most of the arrangements to retain a trio feel while developing a very full, sometimes almost wall-of-sound texture. Pete Bishop’s bass is employed as much more than an adjunct to the guitar, and supplies a distinctive voice throughout, from the sustained, overdriven tones of ‘Everything Happens For A Reason’, to the prominent, prodding plectrum funk that drives many of the songs along. The rhythmically tricky but melodically accessible context makes specific demands on Chris McConville’s drumming, namely that it should be rock-solid and exciting without being at all flamboyant, and that’s exactly what he delivers. Mike Bishop plays guitar with a textural and gestural approach that owes a lot to math- and post-rock, although at times it is also drenched in the heritage of 80s guitar pop. A third Bishop brother (Alex) appears as a guest on guitar and supplies some well-judged keyboard sounds, and there are some artfully integrated strings as well. The emotional mood is far from miserable or depressive, but there’s a certain amount of gloom; a sense of disconnection or uncertainty is another area of commonality with much of the 80s pop I used to avoid, although The Bishops stop well short of the anomie and despair some of their antecedents were able to sneak into the charts (a strange place to find such feelings, but misery can be surprisingly commercial). ‘Bittersweet’ is a word I might use, if I were determined to reduce the band’s efforts to a cliché, but I’ll give them more credit than that: these songs effectively convey some of the complexity of emotional life, which is rarely one thing or the other. Overall, this is a record that wears its influences on its sleeve, rather than forging boldly ahead into uncharted territory, but The Bishops make those inherited musical materials entirely their own. All Lost Time is the product of a clear and coherent creative vision, realised with great skill and sophistication. If I had ever been remotely interested in listening to music because it happened to be famous, then I’d probably feel a bit embarrassed that I don’t know what The Black Crowes sound like, or how the music they released during Marc Ford’s tenure as guitarist compares to their other output, or indeed to this record. In light of my ignorance I shall be forced to resort to listening to the music (radical, I know) and thinking about it. This is basically an album of melodic roots and country rock songs, with the sort of gnarled, patinated feel that can only be achieved by musicians who are completely steeped in the sounds of their chosen style. It’s that sense of the culturally indigenous, the sense that Ford is an autochthon of country rock, that rescues this album from the doldrums of middle-of-the-road tedium. Because there is a lot of middle-ness about this: every song is taken at a medium tempo; stylistically, the arrangements steer well clear of any fringe tendency; the lyrics are, conversely, idiomatic to the point at which they skirt the marches of cliché; the orchestration is exactly what you’d expect it to be, and the production is a tissue of received sonic wisdom. When an artist steers such a straight path, their work becomes reliant on the specific, particular strength of their own passion, their own capacity to resonate with an audience, which is an elusive quality, to say the least. 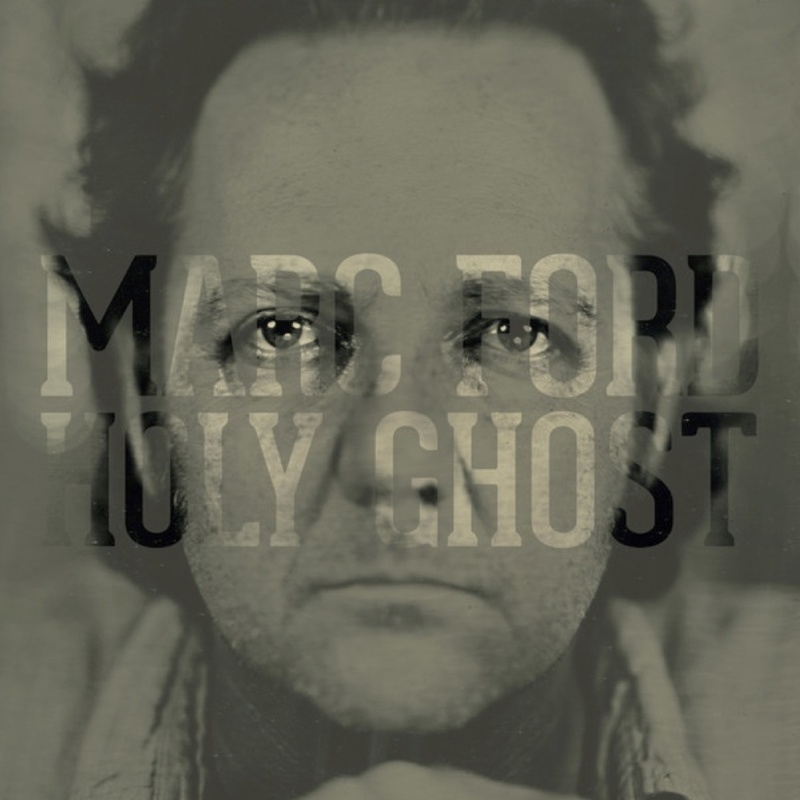 In other words, with sounds this commonplace, Marc Ford had better be one hell of a soulful man if he wants to reach me. Well, I’m not given to making my reviews accounts of my personal response to the music, which is (hopefully) of no more interest than my views on cribbage, but I will say that although I didn’t find Holy Ghost to be among the most moving records I’ve heard, I can put that down to the vagaries of individual preference, and that it is certainly assembled and delivered with sufficient commitment and charisma to make it a good album rather than a mediocre one. The songwriting is sophisticated, evincing a practical grasp of the relationship between harmonic rhythm and emotional impact, and Ford’s creative theatre is the manipulation and juxtaposition of idiomatic materials. The best idiomatic art can completely transcend the denotational value of its materials, and work with them as though with abstract compositional elements, producing meanings that play on the audience’s understanding of the style; that’s pretty much what happens here. We know how the stories go, we can tell what sort of conclusion the songs are progressing towards, and any surprises rely on that understanding; it’s not really what he says, but the way that he says it. The rhythm section feels on the album are absolutely superb, the playing is impeccable throughout, and the mix is an essay in the balance of clarity and integration. If you don’t like this, that’ll be down to you, not to Marc Ford. Jazz has had some direction issues over the years; in the 1980s the supposedly radical innovation was that lots of highly trained young players put on suits and played exactly the same kind of hard-blowing post-bop that had dominated record sales in the 50s and 60s. When a tradition has evolved as rapidly and as radically as jazz, it’s hardly surprising that its most far-out developments leave some of its adherents behind, and it’s also quite understandable that the avenues for making progressive music become less obvious as the decades pass. One area that has been fruitfully explored in recent years is texture, and Get The Blessing are continuing to mine that vein, although there is also some nice, complex blowing on this record, so the idea of expressing a subjectivity through improvisation is far from being abandoned here; it’s just that it is no longer the main event. Most of these tunes are built around very simple but compelling drum and bass patterns, often with quite a dubby vibe to them; harmony is implied, and is articulated through root motion, but is only voiced in the most schematic manner, and is usually pretty much static. Where the blowing is busy it’s usually employed as a timbral element in the arrangement, like the muted trumpet in the second half of ‘Antilope’, rather than as an expression of (or pretext for) a complex moving harmony. Mood and atmosphere seem to be the primary concerns on Lope and Antilope, whether they are evoked by spatial, ambient sounds, as in ‘Luposcope’, or by energetic riffing and disturbing dissonances, as in ‘Viking Death Moped’. Effects are applied to all instruments at one point or another, other than the drums (as far as I could tell), and it’s Clive Deamer’s drums that are the backbone for all of these arrangements, establishing a solid support with enough groove and variety to be compelling in their own right. Jim Barr’s bass is usually the least ‘jazz’ sounding element, playing simple, infectious riffs that give the tunes their distinctive hooks, although most are built on distinctive melodies as well. Pete Judge (trumpet) and Jake McMurchie (saxophone) are clearly quite capable of pulling out the stops and slathering notes all over the music, but they spend most of their time playing so much in support of the material that you’d think they were members of the rhythm section. The album displays a wide appreciation and understanding of various forms of music, not just of jazz, but of areas of popular music as disparate as funk and punk. This music builds compelling, complex (and sometimes downright exciting) emotional impressions by layering and laminating riffs, rather than through flamboyant displays of virtuosity. Get The Blessing have been at this for quite a few years, and several albums, and their close, ongoing attention to detail is paying dividends. 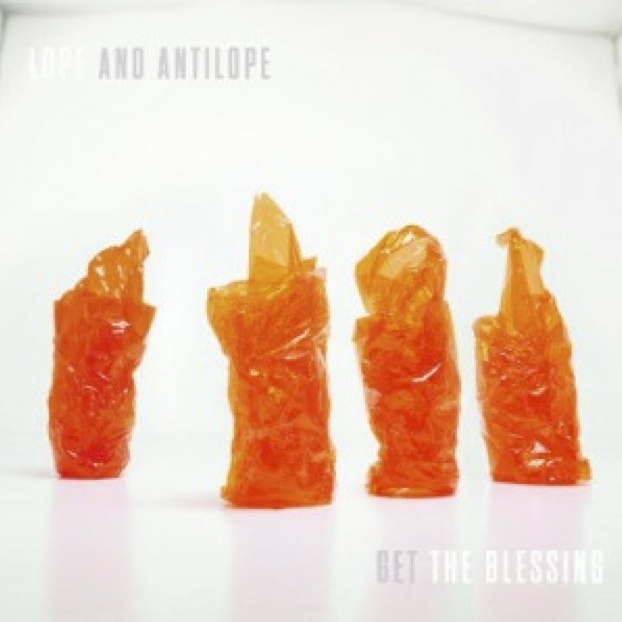 Lope and Antilope is an extremely powerful, memorable, atmospheric and original album, built on the jazz tradition, but to which the label ‘jazz’ is pretty much an irrelevance. One of the best records I’ve heard in a while.